This was spurred on by Thoughtwell’s 2-1-1 Counts report released earlier this winter, which takes a closer look at variations around Columbus and Franklin County. On the one hand, we got to look at resident needs and demographics at a more granular level than Columbus as a whole, and with large enough populations that reasonable estimates could be formed. On the other hand, we measured data at a ZIP code level which, while recognizable, are subject to wild variation in the area covered and political boundaries. This is understandable, as their intended purpose is for effective mail delivery. Are ZIPs acceptable for local data? We have alternatives, but your mileage may vary on effectiveness. The most commonly used subunit is a Census Tract, subunits within counties designed to have a population of no more than 8,000. How are those plotted in Columbus, where I’m writing? As we can see, there are lots of subunits, and some of those even cross political boundaries (thanks, annexation policies). 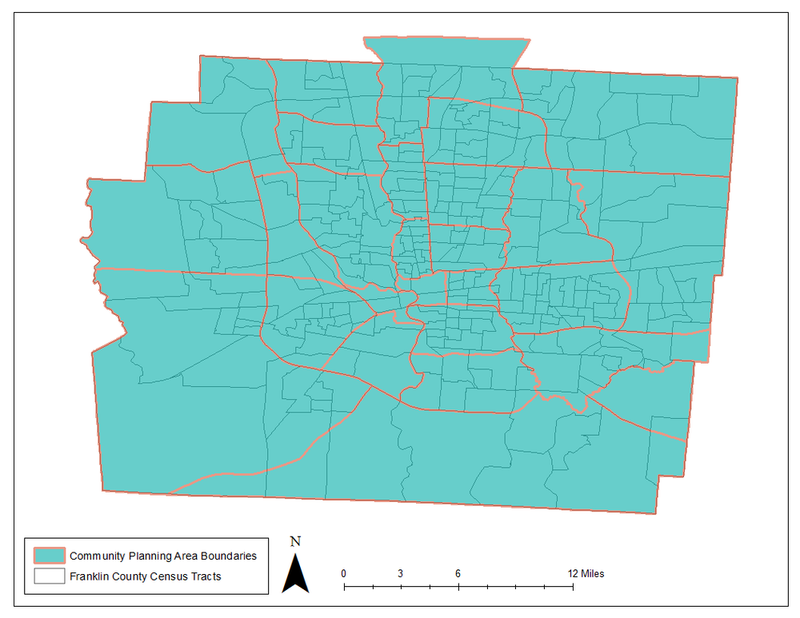 One Tract is not equal to one neighborhood however, with neighborhood boundaries coming in multiple shapes and sizes. How compatible are these two? 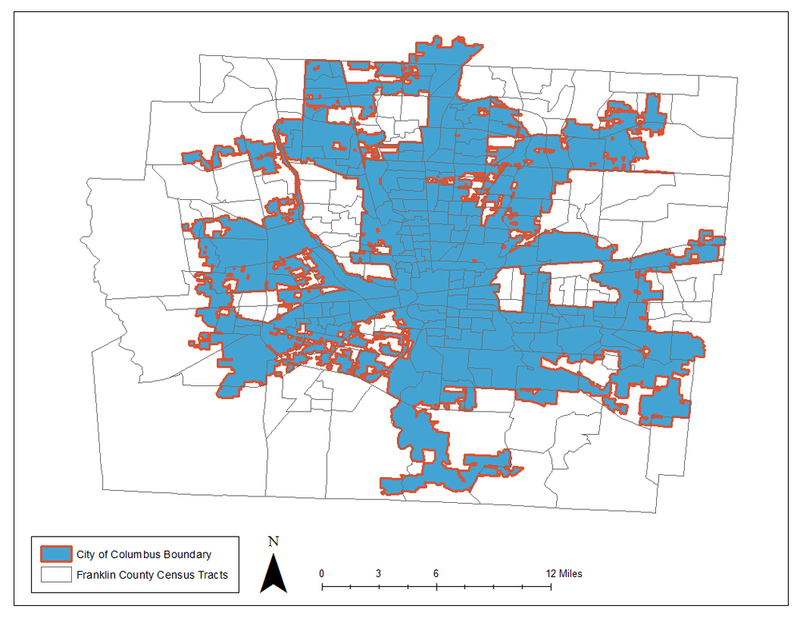 This map overlays Tracts with neighborhood boundaries from Columbus’s open data portal. Once again, we’re hard pressed to find reconciliation between boundaries where data are measured and a community’s own understanding of neighborhoods. The issue is not limited to Columbus. A lot of cities will have council wards, community areas, or other local subunits that differ from boundaries set by the Census Bureau. Don’t be dissuaded from trying to find more local data, however. People have come up with several tools to cope with approximating local areas, from the Census’s statistical testing tool for combining Tracts to New York City’s development of Neighborhood Tabulation Areas for internal projections. While finding nice and neat information on your neighborhood can be difficult, you definitely aren’t alone in looking for it.